Do you exclusively handle criminal defense? Criminal Defense is a highly specialized area of law that demands thorough knowledge of ever-changing laws and the experience to use those laws to benefit clients. Ask your prospective attorney what percentage of their practice is devoted to Criminal Defense. An attorney that dabbles in many areas of law such as personal injury, immigration, medical mal-practice can never provide the specialized representation that criminal defense demands. How well do you know the Courts? Knowing the Judges and Prosecutors assigned to your case can make all the difference. A Criminal Defense Attorney that only handles cases within their local area is a rarity nowadays when most attorneys will travel to far away courts to make a living, leaving limited time to focus on cases. 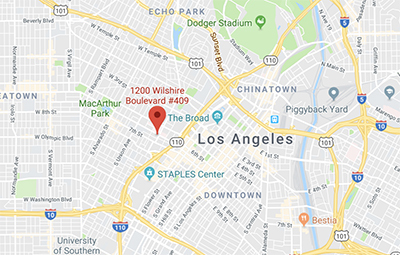 Manshoory Law Group limits their practice to their “home turf,” the Southern California County Courts, specifically, Los Angeles, Orange County and San Bernardino. Shaheen Manshoory and his associates are Criminal Defense Attorneys who know that some of the best results you can achieve on a criminal case are made possible by the relationships between defense attorneys, local prosecutors and judges. Ask yourself: does your prospective attorney handle a majority of cases in their local area? How many times has he or she appeared in the courthouse where your case is pending? Do they know who the prosecutors are in your court? I hear this question all the time and it amounts to a large percentage of complaints that people have with criminal defense lawyers. Most people call what they believe to be a large defense firm and speak to someone who sounds very impressive. Unfortunately, the first person that “sells” you on their firm is a sales representative and not the attorney that will be handling your case. Instead, it will be an inexperienced associate that will use your case as a learning experience. Manshoory Law Group is familiar with how this works, where cases are juggled between young attorneys, and when clients call, they do not know who their attorney is. At Manshoory Law Group, you will always be in direct communication with your attorney. Our clients have access to their attorney’s direct cell phone number at all times, so you will never have to wait for “someone” to call you back. Manshoory Law Group believes that every client needs an advocate, someone the client can believe in, confide in, and be with them every step of the way. Shaheen Manshoory and his associate attorneys are dedicated to offering personalized representation and committed to your case from start to finish. We are here to fight for you and are not just another large faceless corporation. We care. Will all my total legal fees be put in writing? Yes. We believe in honest communication from the moment you come into our office. Our fees are set and clear. There are no surprises or additional fees. We know there are big law firms that will have you sign a dozen pages of legalese just so they are covered no matter how badly they may botch your case. Our firm knows that most people just want a reasonable fee and want to know exactly what the total cost will be. Our “flat-fee” retainer gives you the total amount the case will cost along with a description of what we are retained for. You can have peace of mind, knowing that Manshoory Law Group will handle as many court appearances or phone calls that it takes to earn you the best result and your total fee will never change. Do you have a proven track record of excellent results? While most attorneys provide empty promises of great results, only the great attorneys let their actions speak for them. Our Testimonials don’t lie. Most attorneys will attempt to tell you what you want to hear, while others believe scaring you out of your mind is the best way to get you to hire them. Manshoory Law Group believes our client satisfaction speaks louder than words. Please visit our Client Testimonial/Yelp Reviews and success stories and see for yourself!